From No. 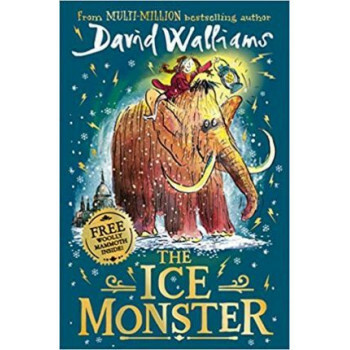 1 bestselling children's author, David Walliams comes his biggest and most epic adventure yet! Illustrated by the artistic genius Tony Ross. This is the story of a ten-year-old orphan and a 10,000-year-old mammoth... Read all about it! Read all about it! ICE MONSTER FOUND IN ARCTIC! When Elsie, an orphan on the streets of Victorian London, hears about the mysterious Ice Monster - a woolly mammoth found at the North Pole - she's determined to discover more... A chance encounter brings Elsie face to face with the creature, and sparks the adventure of a lifetime - from London to the heart of the Arctic! Heroes come in all different shapes and sizes in David Walliams' biggest and most epic adventure yet!